New York: After 2 Deadly Crashes, Is It Safe to Fly on a 737 Max? Every airline crash is tragic, but the loss of an Ethiopian Airlines 737 Max on Sunday was more than that. 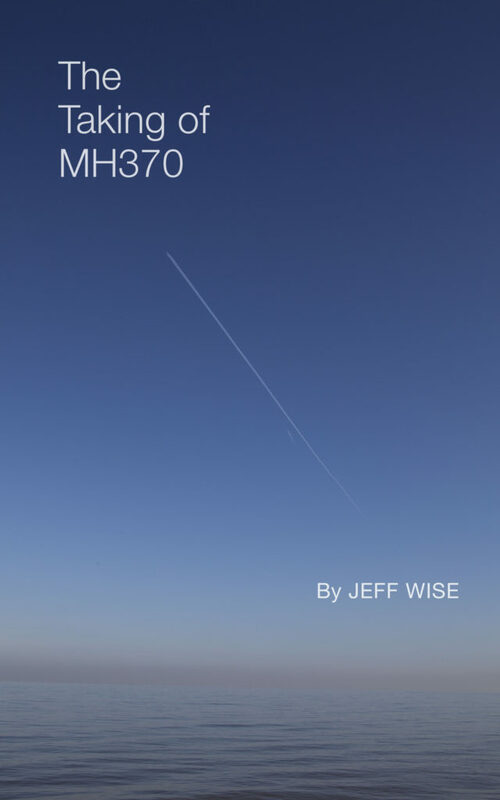 It raised questions about the safety of an entire type of aircraft and suggested that a whole a swath of aviation might not be nearly as safe as we’d assumed. Ethiopian Airlines Flight 302 took off from Addis Ababa and went into a steep dive shortly thereafter, killing everyone aboard on high-speed impact. The circumstances were eerily similar to those under which a Lion Air 737 Max crashed in Indonesia five months ago. It’s still too soon to say if the same factors were at play in both accidents, but the coincidences were spooky for some. By Tuesday, Australia, China, Indonesia, Singapore, and the U.K. had grounded all aircraft of that type, as had 25 individual airlines. Here in the U.S., meanwhile, the three U.S. carriers that fly the 737 Max continued to stand by the plane. After the Federal Aviation Administration announced that it would require “design changes” by April, Boeing said that it would be updating its software and training guidelines. 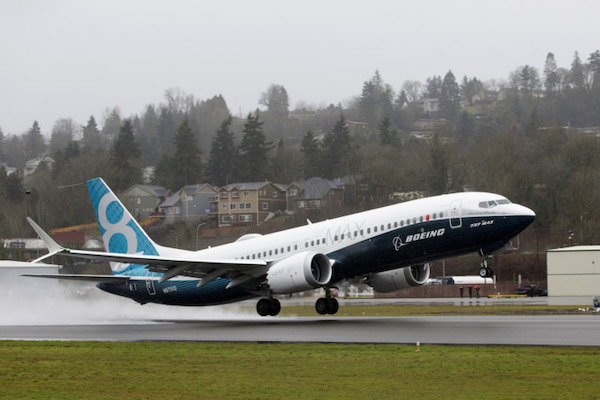 In the meantime, both the FAA and Boeing said the 737 Max remained safe to fly. So who had it right? If your next airline reservation shows you booked on a 737 Max, should you roll with it or rebook? First, the strictly rational answer: statistically, the 737 Max still has a decent track record for safety. With 350 in service since the type was introduced in 2017, with each flying an average of 3.5 trips per day, the percentage of the planes that have come to grief is quite small. With the investigation into last year’s Lion Air crash still underway, and the Ethiopian crash still so fresh that we know next to nothing about the cause, it’s way too early to conclude that anything’s wrong with the 737 Max. To be sure, there may be a problem with the plane. A preliminary report into the Lion Air crash suggests that a new autopilot system called MCAS can, under rare circumstances, put the plane into an unprompted steep dive. Even so, that doesn’t mean that the plane is unsafe to fly. It’s a sure thing that every 737 Max pilot is now aware of the MCAS issue and will know how to disengage it if the plane starts to go nose-down. Passengers don’t need to make every decision on a purely rational basis, however. The natural human aversion to being suspended by invisible forces miles above the earth is such that the traveling public wants flying to be as close to 100 percent safe as possible. If your anxiety is making you miserable, it’s perfectly fine to accept your emotional reality and plan accordingly. If the majority of the public ends up feeling that way about the 737 Max, then Boeing has a big problem on its hands. A reputation of being unsafe is hard to shake. The McDonnell Douglas DC-10 passenger jet earned the nickname “Death Contraption” and “Daily Crash” after a string of high-profile accidents soon after its introduction in 1971. A fault in the design of a cargo door was to blame for some of them, and the FAA temporarily grounded all DC-10s in 1979. Though in the long run the plane’s statistics weren’t particularly bad, the optics were not sustainable. Four years later, McDonnell Douglas pulled the plug. If you’ve got an upcoming flight and are keen to avoid the 737 Max, check your reservation to see what type of plane you’ll be on, or run your flight number through a site such as seatguru.com. In the U.S., Southwest has the largest fleet, with 34 737 MAXs, while American has 22 and United has 14. If you do decide to rebook, be prepared to take a hit: U.S. carriers currently aren’t waiving change fees over passengers’ 737 Max anxieties. A turn at 32 degrees of bank is not acrobatic. It requires the airplane to be hand-flown, because the autopilot does not bank more than 25 degrees. The roller-coaster path after the turnback also shows that the airplane was hand-flown until it was out of radar coverage. Long-time lurker here, just dropping in to say that I am LOVING your book Jeff. I have said all along that the plane was not in the SIO. @Fi, Thank you so much! @Palominodrew, Thanks, I hope you like the book. I don’t have any plans at the moment for an Audible but will let you know. I have Samme Chittum’s book on 981 and am just starting it, I think the case have some unexpected resonance with what’s going on right now. I would say A/P is perhaps off at IGARI but we do not know when it was put back on, from this data at least. If the A/P is off at IGARI, my interpretation is that all Right and Left elec Gen may be off as well as L/R XFER buses. That should turn off the voice and data recorders, not sure about O2 masks. RAT woud drop probably. Not sure about APU. I have updated to the more rigorous PDMG flight sim to study things like this, but I am not an expert on it. So I can only put that out there for comment. Of course you have to allow that the range and azimuth measurements of the military radar near the limit of its range may not be entirely accurate, but surely that accuracy would improve as the airplane gets closer to the radar. You also have to allow for the excessive ‘smoothing’ of the data due to the DSTG’s Kalman filtering. However, having made allowance for those imperfections, do you still think the airplane may have flown on autopilot? I think you said above A/P off all the way to last radar point which I took as 18:22, but i was not sure what last radar point you meant. Victor has proposed the Penang to VAMPI segment *might* be explained by A/P setting to VAMPI. I have tried to check his proposal, in general I am thinking there could be A/P on later after about 17:52. So I was mainly trying to leave that open. Recently @PaulS is proposing A/P on at IGARI and he feels the turn was steady at 25% bank and the final report is wrong to say A/P off, but I am more inclined to agree with your interpretation. Were you following Pauls argument/essay? Becuase you are sort of arguing against it, is my take. additional latitude and longitude position was reported at 18:22:12. At 18:01:49 the airplane was near Pulau Perak. After that we only have a single point from the military and the accuracy of that point is in doubt. I have no strong feeling about how exactly the turn-back was flown at IGARI. It seems futile to me to try to demonstrate that it could have been flown on autopilot when the airplane was evidently not on autopilot after the turn. Were you following Pauls argument/essay? Yes, I am following Pauls argument and his debate with the opposition with interest. It was his work on the radar data and Mike Exner’s remark about ‘conservation of energy’ that set off my current thoughts. I listened to Jeff’s interview with PBS about Boeing and the MAX issue. I guess I’m a little confused. I am not a 737 pilot. I have never been in a MAX cockpit. From everything that has been described, if the new anti-stall system malfunctions due to bad AOA sensor input or whatever, it creates a runaway stab trim event. As I said, I have zero training on a 737 but if I am riding the jumpseat and a runaway stab event starts in any 737, I know how to stop it. It’s about as difficult as turning any other two set switches off, which is just slightly more difficult than turning the lights off in my garage. What am I missing here? Why is this about all kinds of certification issues vs. Boeing vs. needed training vs. new and old models vs. ??? It didn’t just happen to these two crews, right? Why haven’t other crews with the problem crashed, including other Lion Air crews that experienced it on their accident airplane? Unless something else is found, it sure looks a lot simpler than the media circus to me, and if so, it’s going to mean that Boeing and the FAA were right all along and developing-world training / equipment is once again in the spotlight just like it has been for decades except this time it was good equipment. We are still waiting for the evidence, but it appears the system was making huge and repeated adjustments to the flight surface, such that if the pilot failed to immediately counter-act the automated action, the system would then make a second huge move putting the aircraft in an uncontrollable dive that could not pulled out of due to the air pressure on the flight surfaces, is my current understanding. Looks like going beyond the training/technical issues with the B737MAX-8, there are potential systemic problems which are posing a big risk to air safety. The independence of FAA decisions needs to be beyond question. @Jeff, I see you have a new piece on Atlas…I’m hoping to get a new thread and having some great discussion on it. This is shaping up to be a very interesting case. RIP to the three victims. @all, closing comments here, please add your thoughts to the most recent post. Thank you! Previous Previous post: Who Is Blaine Alan Gibson?